Replacement 3" seals for Valterra and Grentec style valves. 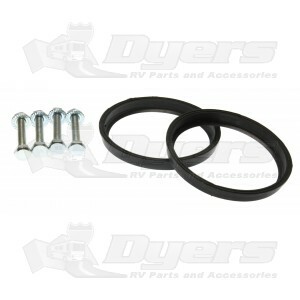 Replacement seals for Valterra and Grentec valves only. Used these to replace some old seals. Good quality, arrived fast, and as the other person suggested, I used some silicone lube when installing, The new bolts are nice and everything is working. Much better and easier than buying a new blade assembly and cementing it all in. A good fix for leaky valves. An easy fix to a recurring problem. Perfect fit. I used Silicone O-ring lube on the blade and rods. Kit has new bolts as well. An easy job.